Nelsons is a family-owned business and the UK’s largest manufacturer of natural healthcare products, including ®RESCUE Remedy , Bach™ Original Flower Remedies, Homeopathy®Nelsons, ®Nelsons Arnicare , ®Nelsons Teetha ,®Spatone , ®Nelsons H+care and ®Nelsons Pure & Clear . 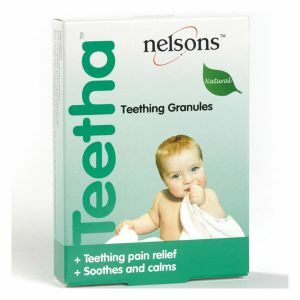 As Europe’s longest established homeopathic manufacturer, Nelsons has supplied quality homeopathic medicines, prepared to traditional Hahnemannian methods, since 1860. First opened by Ernst Armbrecht, a pharmacist and disciple of Hahnemann, Nelsons Homeopathic Pharmacy continues to provide the highest quality advice and service on homeopathy for practitioners and the general public. Their links with the Bach Original Flower Remedies go back to Dr Bach himself in the 1930s, with the relationship between Nelsons and The Bach Centre, based at Dr Bach's former home, Mount Vernon in Oxfordshire, continuing to this day. Both these and our comprehensive range of homeopathic medicines are produced in our specialist manufacturing laboratories in Wimbledon. The standards of medicine which made the Nelsons Homeopathic Pharmacy famous worldwide are rigorously upheld today throughout our full range of over-the-counter products.